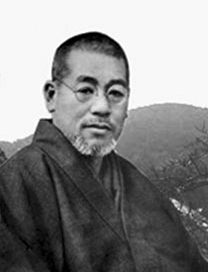 Reiki (pronounced Ray-key) as we know it was developed in 1922 by Mikao Usui (pictured above) in Japan. Usui was a student of Mikkyo, an esoteric arm of Tendai Buddhism. His studies of the sacred Buddhist scriptures and teachings led him to discover the symbols and mantras still used today by Reiki practitioners and Masters. These are thought to stretch back thousands of years along with the art of healing by the laying on of hands. This practice, mentioned in The Bible and many other sacred texts, was largely lost to us in The West. Reiki, is an amalgamation of two Japanese words, Rei and Ki. Rei means spirit, soul, supernatural, miraculous, divine or ethereal body and Ki means life energy or life force. Put the two words together and we have divine life energy, spiritual life force or a similar combination. It does not as many people assume mean universal life force. The Japanese Ki is widely known throughout Asia but sometimes called Chi or Qi. It’s taken to be the life-process or “flow” of energy that sustains living beings. Probably its first recorded use was in the Analects of Confucius, which was composed from the notes of the philosopher’s students some time after his death in 479 B.C. Reiki, as it is now practiced, aims to balance the energy flow of who, or whatever, receives it. The belief is that all living things can have the energy that passes through them enlivened, or cleared of blockages. Whether it’s a plant, an animal or a human being, they can all benefit from Reiki. Many believe that Reiki is simply a lost art that was once an intrinsic part of daily life and whatever you believe one thing is certain. There is no better feeling than the deep relaxation that comes from a session. Even if you don’t believe (and you really don’t need to), it’s wonderful to have someone gently, carefully lay their hands on (or above) the stress points of your body, to feel their care and them willing you to be better. I love getting Reiki. I’ve never felt so pampered as when having a session. Some people say it’s like having a full body massage without being massaged and without having to take any clothes off. Reiki is done when the recipient is fully clothed. Reiki can easily help with everything from headaches to chronic back pain but it’s not a sticking-plaster. It’s a complementary therapy that can help boost the immune system and thereby aid recovery as well as averting minor ailments but it cannot, in the main, replace some standard medical procedures. Talking of standard medicine, Southern General Hospital in Glasgow carried out a study some years back into the effects of Reiki on the Autonomic Nervous System. A report on that study can be found here. While Reiki is not being widely used within the NHS, some hospitals are including Reiki therapists in their cancer care teams. One high-profile example is University College Hospital, London. This YouTube clip offers an insight into the part played by Reiki.